Peter impressed me starting with our first meeting, because of his knowledge and professionalism. Our not even 2 year old deck looked like a disaster because of previously applied product that peeled and flaked off. Either the wood was not properly prepared or the product had an issue, or some of each. In any event, after 5 days of very intense effort at sanding, preparation, and staining, everything looks wonderful. We did have a small wrinkle or two along the way but this actually adds to my recommendation, because it was clear that Peter was not going to be satisfied until I was 100% happy. I was very impressed by Peter and his hard working crew. They were professional, polite, they took extreme care in protecting everything that needed to be protected (including extensive plantings around the deck as well as our 20 mature koi located in a pond adjacent to one of the structures. I highly recommend this contractor and look forward to working with Euromaster on future projects. Thank you dear Lynn for choosing Euro Master. It was challenge project * wish you all the best and enjoy your wonderful backyard . Asad and Miryam are lovely people to deal with, very responsive, show up when they say they will, and produce a quality product with great workmanship and appearance. In the past, I have had occasion to work with other railings manufacturers and found they were unreliable. 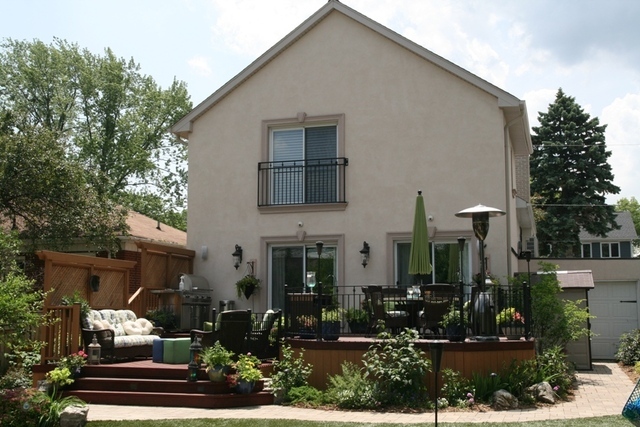 This time, I looked at Homestars before making a choice of railing supplier and selected Architectural Iron Works based on the strong positive ratings they have received from other homeowners. I can now be added to that list, as I am very satisfied with the product and the service I received. 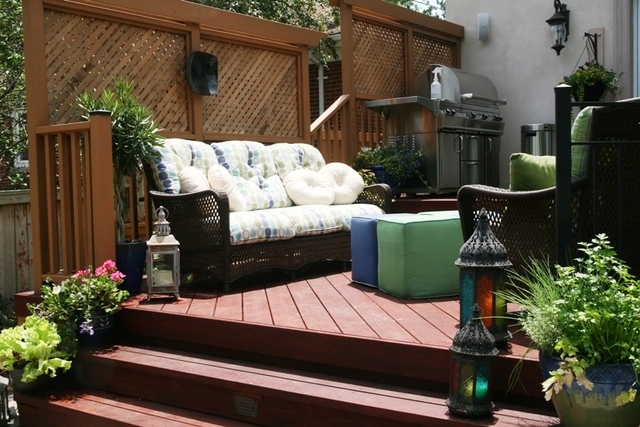 The railings look great and they add considerable beauty (and value) to my deck and home. Dear Customer, Thanks for your review. I really appreciate it. Hope we can work again for you or you could be a good reference to your neighbors, friends and family any time they need Iron Works. 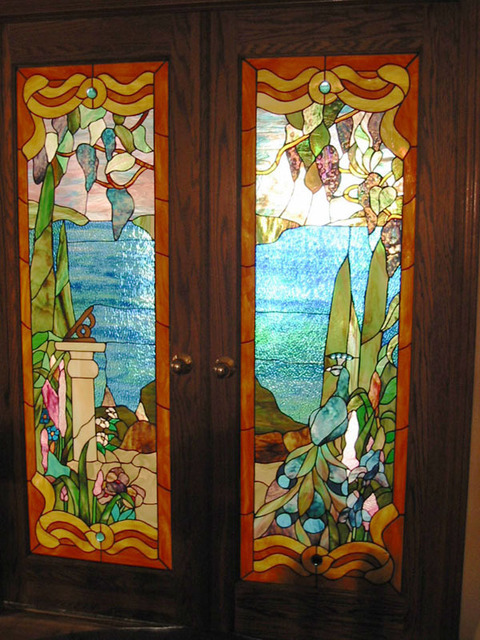 It has actually been 10 years since Carl designed and installed two sets of custom stained glass french doors in my home. The design process was interesting and a lot of fun. I had only a vague idea of what I wanted to achieve and Carl helped a lot in clarifying that idea into an initial design which could then be refined and altered until I was happy. All of this, of course, was done on full size paper sketches and then these were translated into the most stunning pieces of functional art I have ever seen. The finished pieces have been the subject of countless compliments and as Carl promised, I continued to enjoy these pieces every single day. 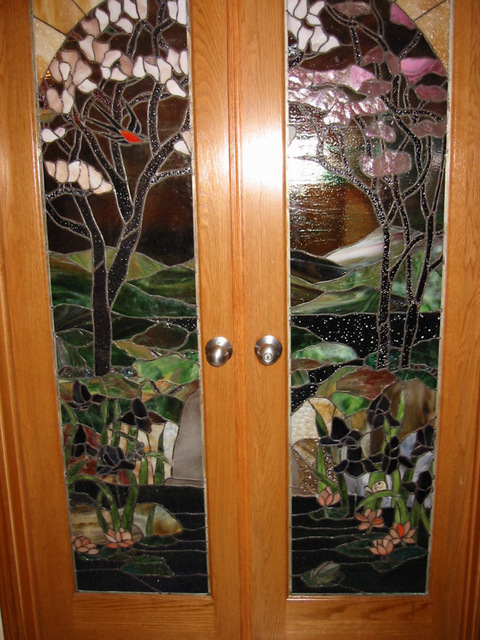 The workmanship was superb and despite daily use the doors look as beautiful after 10 years as they did on the day of installation. I have since sold that house and will most probably be working with Carl on some custom work for my new (hundred year old) home. A wide variety of interesting, unusual and some unique items at every price point. There's sure to be something for that "hard to buy for" person and in fact for everyone else on your list. I just took care of 8 different people in this store including an age range from teens to seniors. Love that it's an independent and it's a store with personality. The fact that it's in my neighbourhood is just an added bonus! I'm very impressed with this company. Every part of the process was handled professionally and carefully. Before installation of a new "good neighbour" board fence, an old rotten fence had to be removed. The new fence went up according to schedule (despite the dreary spring we were having) and looks fantastic. The chain link dog run looks good and serves its purpose. The wrought iron fence in front of the house was the tricky bit. My neighbour has a huge shrub that over the years had grown around and in between the boards of the old rotten wood fence that had to be removed. The Maximum Fence installers were so careful to support this shrub (which couldn't support its own weight without breaking), cut around it to remove the old fence in little pieces, and then tie it in for support after the new wrought iron fence was installed. My neighbour had been concerned that the shrub would be damaged in the process of changing out the fence, but these gentlemen could not have been more careful. My neighbour and I are both very happy with the look of the new fence and I'm sure that large shrub is happy also, to have such attractive support for decades to come. I cannot think of anything they could have done better. All first class from start to finish. I was referred to Achim by a long-time friend who had used and been very satisfied with Achim's services in painting the interior of her home. In the 7 weeks since I've owned my new home (which is actually a hundred year old home) I've had Achim back for multiple projects. The initial work included painting of main floor, hallway to 2nd floor, and 2 bathrooms. All of these were done perfectly. Our home is a storey and a half, with the characteristic sloping ceilings and Achim's work in making these old walls look great was really impressive. After he had all the painting done and the bedrooms looking wonderful, we had ductless AC installed. This resulted in the air conditioning technicians opening large holes in the freshly painted walls, which could not be helped. As soon as the drywall repairs were made, Achim returned to prime and paint the repaired areas. He did a flawless job and it's impossible to detect where the repairs were done. 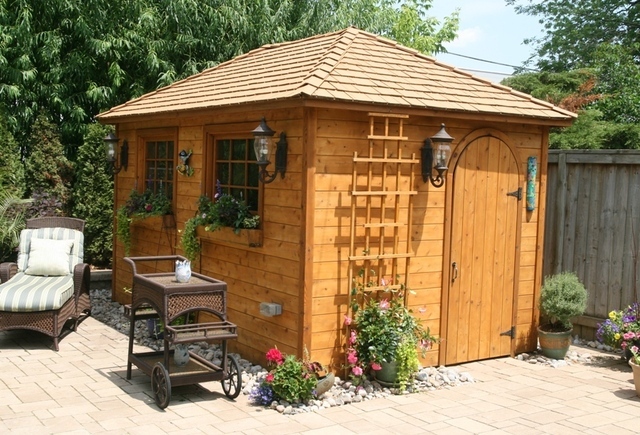 We've also had some outdoor projects including staining (inside and out) of a new, large custom cedar shed with a cedar shake roof Achim is a talented painting professional who is very pleasant to deal with, and who takes real pride in providing the best solutions at a fair price. Wouldn't hesitate to recommend his services, and I'm sure we'll have more projects as our new home is a 'work in progress'. Lynn, Thank you. I really enjoy painting for you. So relaxed and comfortable, you make me feel right at home. I had a brand new deck installation and a balcony replacement (both cedar) done when I moved into my home. I was impressed by how quickly the project was completed and also by how great it looked. But within 7 years this cedar deck was full of carpenter ants. When a contractor pulled up the boards, he found far too much wood in contact with soil, not properly constructed to allow the wood to dry out and no air space. I have to admit I had not watched the construction and really would not have known what to look for if I had watched. Literally thousands of carpenter ants came from one rotten board that was pulled out. The 7 year old deck ended up in a dumpster and a new deck had to be constructed. That is a short life expectancy for a cedar deck and an expensive lesson learned. This is my 5th home in the GTA in 30 years and the second in which I have had AtlasCare install and service the furnace, Central AC, gas fireplaces, etc. Their technicians are professional, courteous, knowledgeable and they take the time to explain what they find and how they are resolving. Emergency service, the couple of times I have required it, has been very prompt. I have a high efficiency furnace, central AC, 1 ton ductless AC, and 2 gas fireplaces all purchased, installed and serviced by Atlas over the past decade.